Antibiotic Resistance Can Be Stopped — And You Can Play A Role In Stopping It : Goats and Soda "This is an avoidable disaster," says one expert. And there are at least three things you can do to help. A pig stands in a pen at an antibiotic-free pig farm in Tongxiang, China. Optimism. That's what we could all use right now. So here at Goats and Soda, we're going to give you a whole heaping tablespoon of it. And we'll do it by answering a question from a reader named Ian Matthews that seems to bring the opposite reaction: "How can we stop the spread of antimicrobial resistance?" Goats and Soda asked our audience: What question do you want us to investigate about global diseases? Readers submitted more than 200 questions, then voted for their favorite. We answer the top question in this article. To take part in our next callout, on charitable giving, vote here. As it turns out, the answer has a surprisingly positive message. New drug-resistant pathogens are cropping up around the world every year. Many have adapted to resist a few drugs. Others are "superbugs," resistant to many, many drugs, including last-resort antibiotics. Eventually, all the antibiotics we have could become ineffective, scientists say. Medicine would step back in time to the 19th century, when doctors' hands were tied, when a simple cut on your finger could be deadly. Basic medical procedures, such as C-sections, would be too dangerous to perform. But this medical dystopia is not inevitable, says Ramanan Laxminarayan, who directs the Center for Disease Dynamics, Economics & Policy in Washington, D.C.
"This is an avoidable disaster," he says. And even reversible — maybe, to a degree, he says. Take for instance, the antibiotic chloroquine in Malawi. Back in 1993, the country stopped using chloroquine to treat malaria because of rising resistance. By 2009, the malaria pathogen had largely lost its resistance and once again became vulnerable to the antibiotic, a study reported a few years ago. All the pathogen needed was a hiatus from the drug to drop its resistance. And the country could again use chloroquine to treat malaria. Other experts we talked to share Laxminarayan's optimism. They say individuals can take a few precautions and really help stop the spread of antibiotic resistance globally — and keep their home and communities safer, at the same time. 1. Put down that strip of bacon. In the U.S., doctors and nurses prescribe about 8 million pounds of antibiotics each year, says Lance Price, who directs the Antibiotic Resistance Action Center at George Washington University. But farmers use more than four times that much — or 34 million pounds, Price says. That's about the weight of two Eiffel Towers. Farmers use antibiotics to prevent disease among livestock but also because the drugs — for reasons that are still unclear — boost animals' growth. "This is a big driving force of antibiotic resistance," he says. "The conditions in modern farms are perfect for the spread of bacteria. You've got 10,000 pigs or birds all crammed together, all defecating on each other. Introducing antibiotics is the magic ingredient for creating drug-resistant bacteria." And to make matters worse, this wellspring of resistance is all attached to a massive distribution system — America's supermarkets. "The meat is inevitably tainted with these bacteria," Price says. "So they end up in stores across the country." To stop the spread of these superbugs, Price says, Americans need to stop buying meat raised with antibiotics. Period. "This is a really, really important choice to make," he says. "It's the only way to make progress in this area." "This makes demands on retailers to stock antibiotic-free meat," he says, "which then places demands on producers to raise animals without antibiotics." Look for meat labeled as "No antibiotics," "Raised without antibiotics" or "USDA-certified organic." For organic meats, animals can't be given antibiotics, although this doesn't apply to eggs and small chicks destined to be chicken. Raising animals without antibiotics is typically more expensive. So if your budget can't afford organic meat, then think about simply cutting out pork. 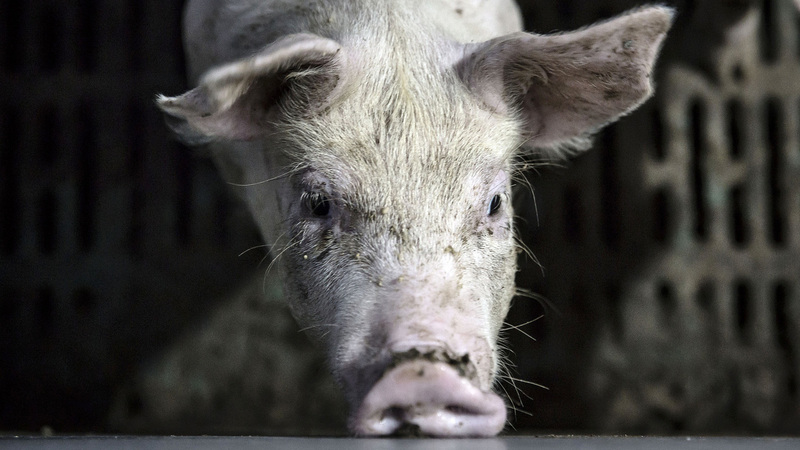 With pigs, farmers often use massive amount of antibiotics, Price says. "It's the way they're typically raised," Price says. The animals spend almost their entire lives in confined pens. And they're given antibiotics throughout almost their entire life. 2. Have a heart-to-heart with your GP — and close friends. We often hear that antibiotic resistance is like climate change: A few countries ruin it for everybody. Any one person's contribution is a tiny drop in the world's vast ocean of antibiotic use. That is true, Price says. But with antibiotic resistance, you can have an impact on your local community — or even state — which can protect you and your family from superbugs. There's even proof of this: Sweden. Every time you use an antibiotic, you raise the risk of developing resistant bacteria on your skin or inside your body. Those pathogens can spread through households, classrooms and communities. But Sweden has been ultravigilant about keeping antibiotic-resistant bacteria out of the country. Doctors are extremely prudent about prescribing antibiotics. The health care system constantly monitors for the presence of resistant strains. And the government banned the use of antibiotics as growth promoters on farms way back in 1986. As a result, the country is a sanctuary for antibiotics. The drugs have preserved their potency. And doctors can prescribe antibiotics that here in the U.S. we've essentially abandoned because of built-up resistance. "America can revitalize these amazing antibiotics, too, if we start using them more carefully," Price says adds. "But everybody needs to change. It needs to be across the board." To make your home, town or country an antibiotic sanctuary, don't demand antibiotics from doctors. Better yet, be proactive, says James Johnson, an infectious disease doctor at the University of Minnesota. "Tell your doctor, 'We'd like to talk about ways to avoid using antibiotics. Are there alternatives we can try or use a wait-and-see approach more often?' " he says. "When a doctor offers antibiotics, challenge it!" Johnson adds. "Ask, 'How confident are you in the diagnosis? Are you sure it's caused by bacteria, not a virus? If it is a bacterial infection, how sure are you that this drug will work?' Sometimes doctors need permission not to prescribe antibiotics, and they might be relieved." Then try out a similar conversation at your kids' play groups, he says. Try something like: "We're working to keep superbugs out of our home. So we're being careful about using antibiotics and eating meat raised with antibiotics. Are you interested in doing the same?" Bacteria easily pass around families and communities, Johnson says. Every time an antibiotic gets used, resistant strains gain an advantage and can crop up. Once they're out in the community, everyone is vulnerable. 3. Get a flu shot! Ok, that sounds crazy. A virus causes the flu. And antibiotics don't stop viruses! That's right, the CDDEP's Laxminarayan says. "But getting the flu is the major reason people in the U.S. get prescribed antibiotics," he says. An earlier version of this story incorrectly said U.S. farmers use 34 million tons of antibiotics a year. They use 34 million pounds per year.